BGP Litigation is a leading firm specialising in comprehensive protection of business. The firm was founded in 2006 and combines legal and investment expertise. 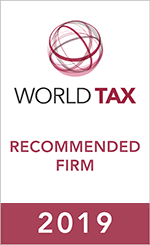 The firm employs over 60 lawyers, litigation and criminal attorneys, as well as tax and investment experts. Many of them are comprised in the leading international and Russian ratings, including Chambers Global, Chambers Europe, IFLR 1000, BestLawyers, Who's Who Legal, Kommersant. The substantial size of the team enables firm to work efficiently on global projects that require simultaneous support of a great number of parallel proceedings at various levels and in various jurisdictions. The firm’s team has a full range of competences necessary to protect efficiently the interests of the clients, including the coordination of negotiations, support in Russian and cross-border courts and arbitration proceedings, restructuring of business, international tax advice, support of tax disputes and criminal law defense. A great part of current and past projects implemented by the team has a substantial cross-border element, which includes support during international arbitration disputes and courts, coordination of assets recovery and obtaining of provisional remedies in various jurisdictions. The international focus, together with Russian presence, allows BGP Litigation to find the most effective and cost-efficient solutions for the protection of the clients.